One of the most overlooked time sinks in the study process is filling in gaps in your understanding. Think back to the last time you prepared for a test. It is likely that around 50% of your time was spent trying to figure out stuff that you missed the first time it was presented in lecture or reading assignments. This holds for both technical and non-technical courses. In the former, the gap might take the form of a technique that went by too fast on the board during lecture. In the latter, it might be a reading assignment that baffled your ability to pull out a clean conclusion. This reality breeds the following observation: if you can find a way to consistently fill in these gaps in your knowledge as they arise, you can significantly reduce your study time. In this post I outline a simple system for achieving this goal. 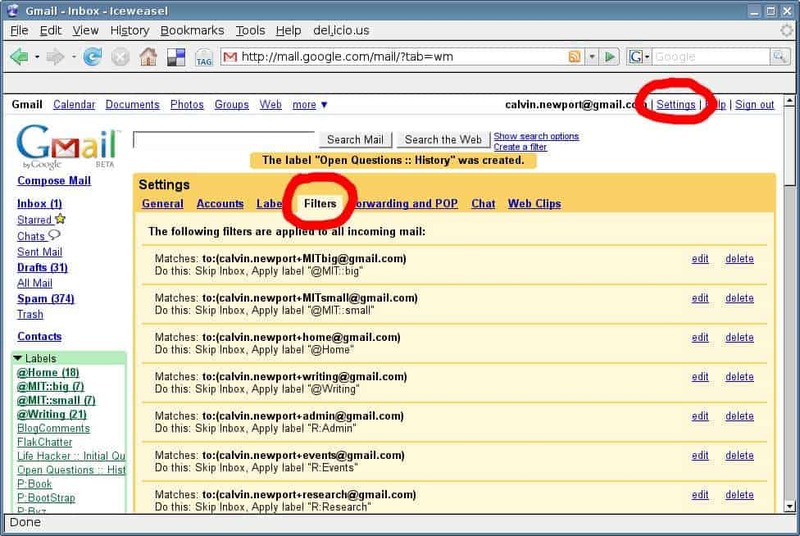 To maximize efficiency, it makes use of the label and filter features built into Google’s Gmail system. The basic idea is to capture open questions quickly in your e-mail inbox and then process them once a week to prevent backlog. 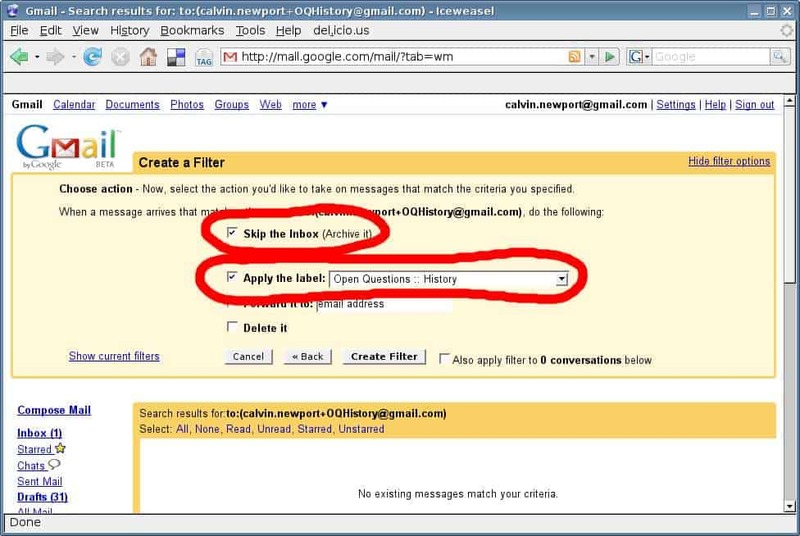 For each of your classes, create an “open questions” label in Gmail. These labels will be used to organize e-mails that describe gaps in your understanding for each class. 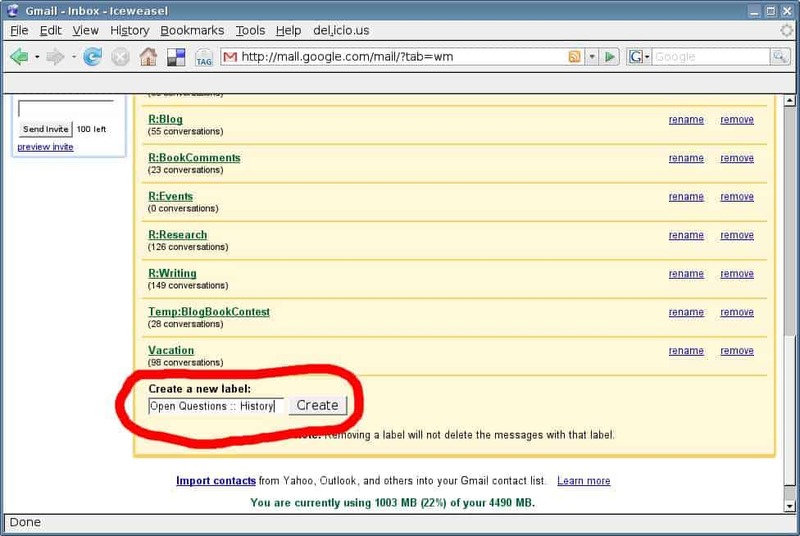 Click Settings in the upper-right corner of the Gmail screen. Scroll down to the text box, type “Open Questions :: <class name>“, and then click the Create Label button. The next step is to setup a filter that will recognize e-mails describing an open question, and then automatically label it with the proper label and archive it to keep your inbox clean. This will make it easy to quickly add to your collection of open questions for a given class from any internet connected computer. On the Settings screen, click on the Filters tab. Click on the Create a New Filter link at the bottom of the page. Click the Next Step button. Select Apply the Label and then pick the label you constructed in the previous step from the drop-down list. Click the Create Filter button. You can now use Gmail to easily capture and organize the open questions for your classes. 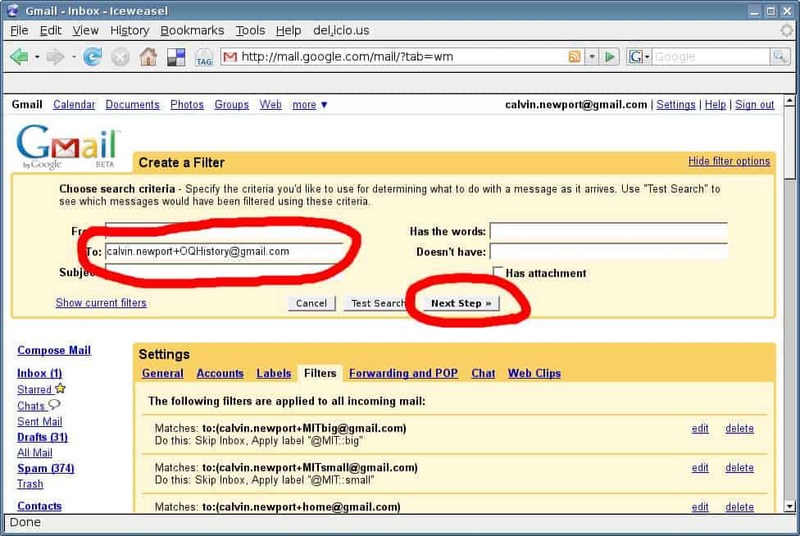 To do so, send an e-mail describing the question to the special e-mail address you used in the filter for that class. From now on, whenever you need to record another open question for the history class, just start typing “OQ History.” After the first 3 letters your address should be automatically identified. Pressing the tab key will fill in the full address. You’re in class. The professor says something that confuses you. If you have your laptop open, quickly shoot a description of the confusion to the open question e-mail address you setup for that class. 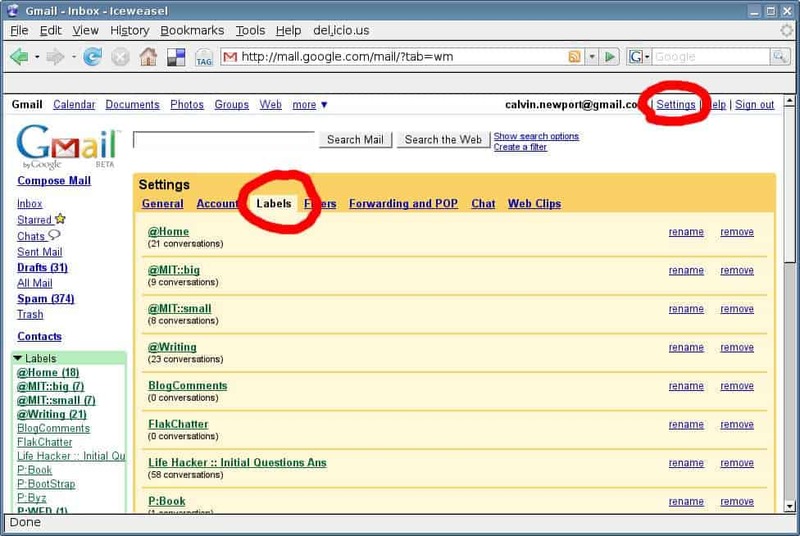 If you don’t have a laptop, you can send this e-mail next time you are checking your e-mail on a public computer or back in your dorm. The same applies for reading assignments. 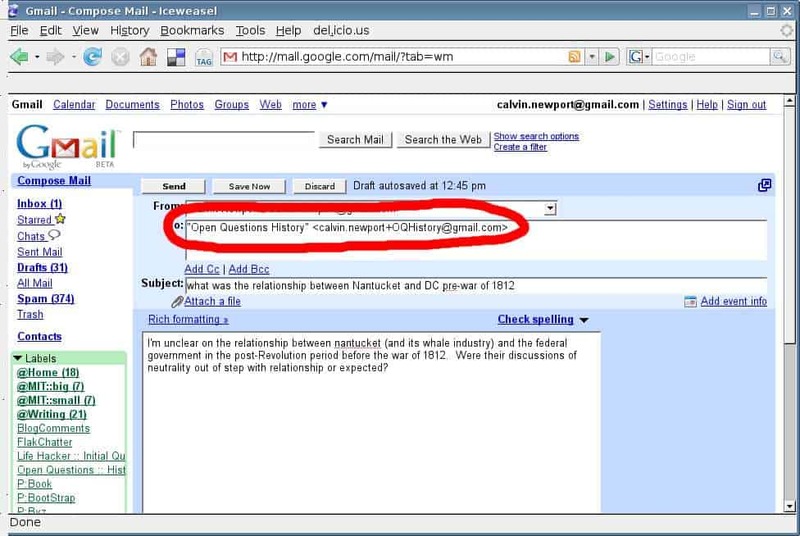 If get confused, shoot off an open question e-mail. Your filter system will automatically label and archive these open question e-mails for later review. Once a week, you need to process open questions that have been building up in your e-mail inbox. If you don’t, they will collect until you start the studying process. This will lead to a major time sink. For each class, click on the label for that class to review the open questions from the preceding week. Printout all of these e-mails. Ask the professor or TA during the next office hours. E-mail the professor or TA. Ask a friend in the class. Consult a resource that you think has an answer. 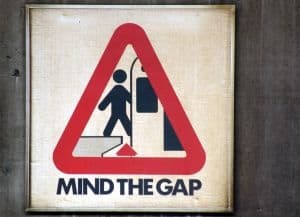 When you’re done, you’ll have made a plan to close every gap identified in the previous week. An easy habit is to just bring your printouts for a class to office hours each week. Your professor or TA will appreciate your organization and focus. Once it’s up and running, the system is simple. You access your inbox all the time, so simply shooting off an e-mail with a question you don’t understand is an easy habit to adopt. Similarly, the processing of these questions is an easy addition to a weekly review. Do this, for example, as part of your Sunday ritual. If you stick with it, however, you’ll be amazed at how much more streamlined your study process becomes. When you only have to review — not learn — in the days leading up to a test, the hours required to become prepared are significantly reduced. I use the exact same trick for processing general tasks. For example, I’ll send myself email to my process label to save certain research papers or I’ll forward news articles that my dad sends me to my process label. I use Evernote instead, but same concept.